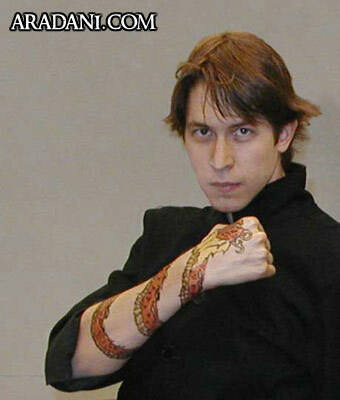 I am a big fan of Robert Jordan’s The Wheel of Time. I have been reading the series since around 1999, so I started quite late in the series. I, as with all of his fans, await the last book, and wish Robert Jordan speed in his treatment and recovery. Here is a comprehensive list of the items that I used when making this costume, followed by a write-up on difficult or interesting aspects of design of the costume. Ash’a’man coat – The coat was purchased at Hot Topic as a Neo coat from the second Matrix movie. It was a full length coat, however I pinned it up so that it is only knee length. 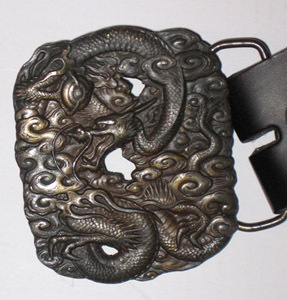 Black lether belt – again from Hot Topic, I needed to get a nice leather belt that I could unsnap the buckle, since I had my own. Dragon Belt Buckle – a lucky find on eBay, I felt this worked very well for Aviendha’s gift to Rand of a Dragon belt buckle. Gray suede pants – standard Ren Faire garb. They match the coat perfectly. Boots – These are my Minnetonka suede boots that I wear when working shows. I have also made some custom boot covers that wrap around the knee high boots. 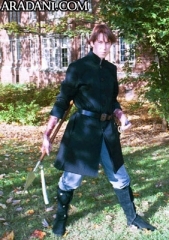 Heron Mark Blade – I purchased the officially licensed Heron Mark Sword from Museum Replicas Limited. This blade looks great on a wall when not in use. 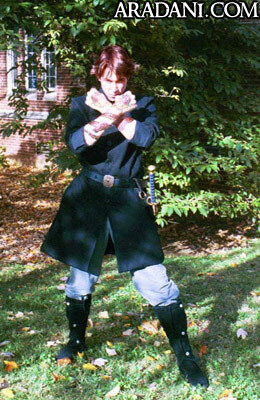 Seanchan spear – I picked up a decent, but inexpensive spear from a ren faire, and sawed off the end. I purchased two graduation tassels, one white, one green, and tied those around the spear head. It may not have the dragons carved into it, but it looks quite nice. Dark Red Hair Dye – I ended up going with a permanent dye, so I had a nice reddish tint for quite some time. 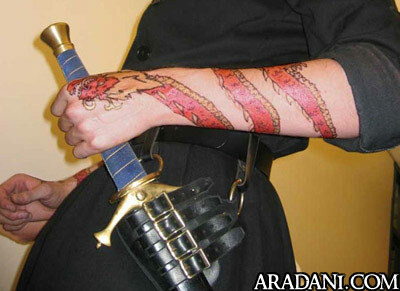 Dragon tattoos – probably the most fun, and most difficult portion of the costume. I drew the design myself in a sketch pad, and had someone Henna the design on my arms. On Halloween morning I traced the Henna with a Black sharpie, and colored the tattoo with red and gold metallic body powder. A little setting powder and hair spray helped keep the tattoos looking sharp for over 12 hours, with only slight rubbing on my coat. I think that about covers it. If you have any questions, feel free to email me at paul AT aradani.com. I would love to discuss the costume if you have any comments or the books, if I have some free time.